With over fifteen years of business founding, STONETEK is a well-established and dynamic natural stone boutique, that imports, exports, and distributes an extensive line of fine quality natural stones as; basalt, granite, slate, sandstone, limestone, marble and quartzite. STONETEK also handles a wide variety of different products all made out of natural stone like; flooring tiles, wall panel veneers, siding, ledgestone, stackstone, mosaics, pavers, cobble stones, pool coping, and stepping stones. As a result to this great venture set out by STONETEK founders, STONETEK has grasp the meaning of the beauty within a natural stone, and by doing so STONETEK has been able to share this great experience with; Interior Designers, Architects, Project Managers and Tile and Marble Showrooms in the South Florida area. Our product selection is consistent and wide-range. With over thirty different designs and marvelous variations of colors and textures, STONETEK offers the best of natural stones, from the best quarries all over the world. We offer tiles in several sizes like; natural finish, honed, brushed, flamed, hand cut, or sawn edges. For fifteen long years STONETEK has committed to the quality of product it extends to its customers and guarantees the value it ads to their projects. STONETEK has introduced only but the finest of the stones to their customers, and in return has managed to gain the loyalty and respect they merit. The microcement Topciment® is a continuous decorative coating; it allows us to cover large surfaces of floors, walls and ceilings with no joints. Due to its finish and the wide range of colors, the microcement facilitates the creation of unique spaces. 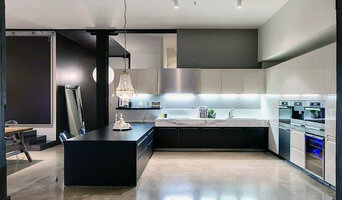 It is an indispensable element in the design of high-end design projects. With the continuous pavements of microcement we facilitate the definitive transformation of your home, office or commercial area. We are a team of Architect, Engineer, and Master Installers, specializing in Driveways, Patios, Pool Decks & Outdoor Living, for Residential, Commercial, and Hospitality. We offer a wide variety of products and services in Pavers, Stones, Marble, Travertine, and Porcelain. Exclusive Concrete Slabs Designs. Sophisticated trends in Pool Makeover including Pool Coping, Diamond Brite, Glow in the Dark accents, and Iridescent Mosaics. We produce natural stone tile, pavers, and custom architectural pieces. We quarry & fabricate a variety of natural limestones including Florida Keystone, Coral Stone, Indiana Limestone and a variety of other natural stones. USA Marble has been a family operating business for over 25 year. Since we opened our doors in our Pompano Beach location in 2008, we have thrived to become a lead supplier of Travertine and Marble Nationwide and also in the Caribbean. We specialize in Premium grade Travertine pavers, tiles, pool copings and mosaics. Having factories and quarry partnerships we are able to provide high level of product quality assurance. We pride ourselves in our material! Highest quality control is our priority. Usually competitors select or premium quality is considered our mid-grade material. The elegant look and durability of Travertine products plus our top level of customer satisfaction has placed us #1 among contractors, builders, architects, designers, homeowners, retail and wholesale companies locally and nationwide. USA Marble has built a very respectful reputation throughout the years. Our philosophy is to always listen and understand our customer therefore we can provide exceptional customer service. Our professional staff is ready to assist you in every set of the way. Come visit us in our showroom in beautiful South Florida. With over 31,000sqft our distribution center is located in Pompano Beach where you will find a great selection of the highest quality travertine and marble in the market today. If you want the best, go with the best! stonetileus.com Nationwide stone tile manufacturer & Importer. Products: Travertine tile, Marble tile, Paver tile, French Pattern tile, Mosaic tile and Many other Natural Stones! Best price guarantee! We do price match with any local or online store! 100% Free Sample shipping. No CC required. No restocking fees. Ponte Vedra Beach's Paving Experts- Best of Houzz 2017-2018 Winners! Champion was established in 2004 by Jaime Basilio. Jaime had previously worked in the industry for 5 years prior and quickly realized clients deserved more. He knew that if he had his own business he would provide services the industry did not provide. As a result he established a family based business that at its core provides clients with direction, support without cutting corners. Jaime began the business by renovating pools, pool decks and patios and gradually expanded to doing driveways, and walkways. Champion is based in Miami and has been servicing Miami, Coral Gables, Coconut Grove, Miami Beach, Miami Shores, Ft. Lauderdale, Pembroke Pines and surrounding areas. Jaime and Champion's crew and team members provide unique and creative approaches in texture and design to all projects. Jaime, says "You don't have to sacrifice quality for cost. Its not about just doing the job you ask us for, its about doing more while remaining competitively priced. Your project and referrals provide us future clients, we set ourselves apart by listening to your needs and understanding your vision. Our clients want us to direct them in the best approach to take, they realize they can tap into our experience to show them what it takes to make their project stand out. We place close attention to quality, detail and design and work with each client to maximize and achieve their vision for their project." We work with Travertine, Interlocking Pavers, Old Chicago Brick, Concrete Pads, Coral Stone as well as Pool and Patio renovations to create a work of art that will enhance our clients home, investment or business. Our clients are homeowners, business owners and building contractors. 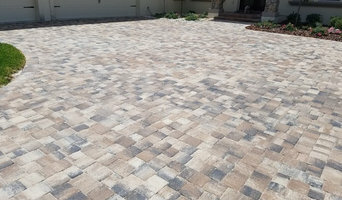 M & C Pavers, Inc.
M & C Pavers, Inc. specializes in the installation, repair, remodeling, maintenance, pressure cleaning and sealing, color seal or clear seal of your brick or stone pavers. We also specialize in retaining walls and erosion control. We do brick pavers driveways, pool decks, sidewalks, patios, walkways, steps, walls and more. We also pressure clean houses, roofs, enclosure screens and more. Please view our show room or photo album for samples of our work. Located in Pompano Beach, Florida American Cast Stone has established itself as one of the leading manufactures of architectural cast stone in the Southeast United States. Our highly trained craftsmen are taught to pay particular attention to every detail to assure consistent high quality. Our commitment is to provide a high quality product at very competitive prices. We pride ourselves on the repeat business we receive from our customers which is largely a result of quality and pricing. Whether your project requires standard or customized architectural cast stone, American Cast Stone can provide you with an affordable solution to make your project a success. Repairs and installations of brick pavers for pool decks, driveways, patios, walkways and sidewalks. We also do pool coping and pour concrete sidewalks. We are a family owned and operated business. Vladmir has been in this business for 17 years. Speak English, Spanish and Portuguese. Hi there -- it's nice to meet you! My name is Linda Abbott and I am the in-house design consultant for StoneHardscapes, a direct importer of Natural Stone Pavers, Tiles, and Veneers. I truly enjoy collaborating with Landscape Architects and Designers as we create an incredible indoor/ outdoor sanctuary for our clients. Welcome to my world of creative inspiration. A Miami, FL stonemason can add kerb appeal to your home and is usually hired for home projects such as driveways, pathways, pool coping and home facades, but can also build retaining walls and fit stone cladding. In some instances, their work can extend to features inside the home, from fireplace surrounds and mantels to staircases. Find a Miami, FL stone, paver and concrete professional on Houzz. Scroll through this page to find a stonemason, paver or concreter in your area. Just enter your suburb in the top field to narrow your search. You can browse their latest projects, read reviews and see how other homeowners rate their work, and message them directly.